I think I watched the flying monkeys part of The Wizard of Oz through half-closed eyes. But I actually think the messenger bag is pretty cool! 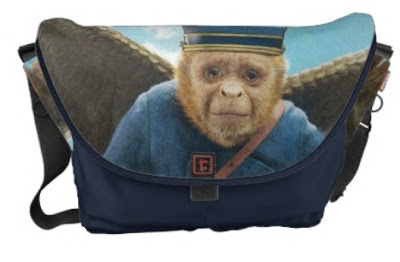 Not sure I want to think about 21st century flying monkeys, though. Oooh, bet they'll get me scared all over again! I fell in love with the flying monkeys during Ian's high school's production of The Wizard of Oz. They were so well done and actually comical.